Moto Z3 Play is one of the highly anticipated upcoming smartphones that Lenovo brand Motorola is expected to launch in 2018. The handset has been subjected to several leaks and rumours for a while now, and they suggest a design that is in line with the company’s Moto Z-series of handsets. According to latest reports, the Lenovo-owned company is set to launch the smartphone next month. 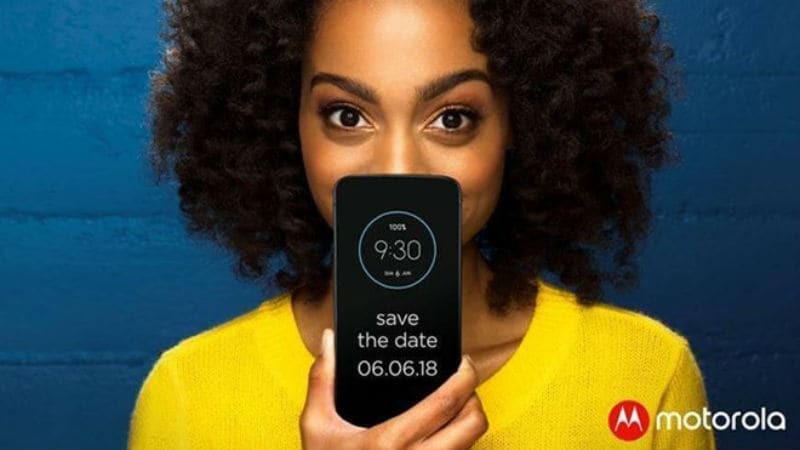 It has reportedly sent media invites for a launch event scheduled on June 6, where the Moto Z3 Play may get announced. As per Brazilian site Tudocelular, Motorola has confirmed a ‘Save the date’ event in Brazil, which will take place on June 6. In the media invite image, a girl is seen holding a smartphone in her hand, so it is clear that the company is going to unveil a new handset next month. There are several reasons to believe that the Moto Z3 Play will be unveiled at the launch event. The first of Motorola’s Z-series in 2017 was the Moto Z2 Play and it has not launched any smartphone in the lineup this year yet. This indicates that the Moto Z3 Play could be the first handset in the series to be unveiled in 2018. Also, the company has already launched the Moto G6 and Moto E5 lineup in Brazil this year. Thanks to the growing number of leaks, we can easily expect that the Moto Z3 Play to be the only possible launch remaining. The Motorola launch event poster showcases the front of the upcoming handset, but it does not reveal too many details. If the invite is any indication, the launch event is expected to start at 9:30am BRT (6pm IST). Coming to the Moto Z3 Play, the smartphone has already witnessed several leaks and reports that have revealed specifications of the handset. As per a report earlier this week, the Moto Z3 Play will support Moto Mods, may be powered by the Snapdragon 636 SoC, have a dual camera setup, support face unlock, and pack a 3000mAh battery. The smartphone is expected to sport a 6-inch 18:9 full-HD+ (1080×2160 pixels) AMOLED display with 2.5D Gorilla Glass protection. Also, the Moto Z3 Play may feature a dual camera setup at the back with a 12-megapixel low-light sensor, and an 8-megapixel front-facing camera will also be included. Design wise, the Moto Z3 Play is tipped to have a glass panel, thinner bezels, and a circular camera shaped protruding ring at the back. The connector dots are situated at the back on the bottom edge, just as it was on the predecessor. Also, the smartphone is expected to remove the physical home button and position the fingerprint sensor on one of the sides. Additionally, live images of an alleged Moto Z3 Play had surfaced online earlier this month, revealing similar features in the smartphone. The images had suggested the presence of a dual-camera setup, side-mounted fingerprint sensor, pogo pins, Android 8.1.0, and more.